The best face wash for dry skin cleanses your facial skin thoroughly yet gently, while soothing and moisturizing as it refines skin cells. Formulated to improve skin elasticity and texture, finest quality facial washes contain natural and organic substances that hydrate your skin deeply and evenly, eliminating any patches of dry surface skin, wrinkles or fine lines. Well hydrated skin will resist breakouts and have a firm, vibrant appearance while resisting the development of even small imperfection. Your skin's ability to prevent irritations and infections due to airborne germs and environmental stress is strongly affected by its pH level, which refers to its ratio of acidic and alkaline levels. Considering a scale of 1 to 14 on which 1 is the most acidic and 14 the most alkaline, 7 is a good level of neutrality for your skin's pH balance. The surface of your skin has a thin shield or layer called the acid mantle composed of sebum, or free fatty acids, that are excreted by the sebaceous glands in your skin. This layer combines with lactic and amino acids from perspiration to form the skin's pH. A healthy pH count should be slightly acidic at a level of approximately 5.5 in order to keep your skin healthy, with good, clear coloration and a vibrant, glowing complexion. To prevent further drying of your facial skin, refrain from using washes that contain alkali or alcohol, especially denatured and SD alcohol. (Ingredients like stearyl and cetyl alcohol are acceptable for facial skin care because they are actually fatty alcohols that will smooth and condition your skin.) Also avoid face cleansing washes that list sodium laureth sulfate and sodium lauryl sulfate as ingredients. Although these sulfates produce an easy to apply, foamy lather, they will strip your skin of its natural oils, making your skin progressively drier. You should also avoid products that contain parabens and artificial fragrances since these substances can irritate and dry your skin while upsetting healthy pH balances. Healthy, gentle skin purifiers, moisturizers and enhancers to look for as ingredients in facial cleansing products include humectant glycerin and ceramides (which absorb moisture), aloe and niacinamide to refine skin texture and tighten pores, and such purifying and moisturizing natural and organic agents as jojoba, olive, sunflower, avocado, coconut, apricot and castor oils, shea butter, chamomile and vitamins B5 and E.
Luxurious, soothing, liquid facial washes that cleanse, clarify and bathe your face in gentle natural moisturizers and emollients include the following fine quality brands and products:. This skin nourishing formula contains three essential ceramides: 1, 3 and 6-II, which deep-cleanse and hydrate your facial skin. These richly nutritional natural ingredients are also essential to revitalizing and maintaining the skin's outer protective layer, the acid mantle. The ingredient of hyaluronic acid aids in retaining your skin's natural moisture levels as this gentle, yet highly effective formula thoroughly cleanses, eliminating all traces of makeup, dirt and oil. This refreshing facial wash hydrates dry to normal skin evenly without clogging pores, leaving your face feeling smooth and rejuvenated, without any dry or tight sensation. This product has been proven by many users to be a fine and trustworthy facial wash. This skin-enhancing cleanser is non-comedogenic, non-drying, non-irritating and fragrance-free. Formulated with the knowledge and skills of dermatologists, this formula repairs and nurtures delicate facial skin tissues with its contents of the three essential ceramides. These ingredients are lipids that help build and maintain the skin's outer barrier (acid mantle) and retain vital moisture. They also safeguard skin from harsh environmental factors like pollutants, dust, dirt and debris. Without its healthy, protective barrier, your facial skin could become excessively dry and patchy with breakouts or surface irritations. This unique skin care product was designed with controlled-release technology for highest degrees of effectiveness. This formula has a soothing, creamy consistently and removes makeup well. 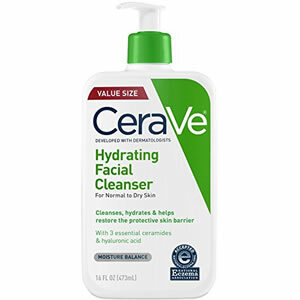 This product is good for very dry skin because it hydrates thoroughly while cleansing your skin. As a soothing skin wash, this formula cleans deeply, but gently. This unique skin care product goes on your face as a gel, cleaning and hydrating completely without foaming. This enriching skin wash cleanses while protecting your face with effective emollients without leaving any oil or residue. Some users of this face wash experienced skin breakouts, but they may have allergies to some natural ingredients found in many safe and effective pure skin care products today. 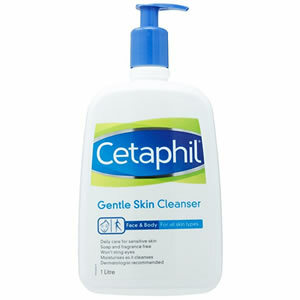 This highly effective yet gentle skin wash is recommended for people of all ages, including children. It clears all impurities from your face without drying or irritating delicate facial tissues around the eyes and mouth. This formula contains no soaps or harsh skin cleansing agents. While this nutrient-rich product removes all signs of makeup and impurities from your face, it will also preserve and nurture your skin's natural moisture barrier. This formula never strips away the natural oils of your skin. It actually works with your skin's natural components to support and enhance the skin cells' natural hydrating capabilities. Because it is both a gentle and thorough skin purifier, this product is also recommended for use by people who have psoriasis, eczema and acne. This cleanser was formulated after careful research by Galderma Labs and is especially helpful for alleviating dry, itching or scaling skin. This product is approved by dermatologists and is low-lathering and free of soap, moisturizing your facial skin as it removes oil, makeup and grime. It is convenient for carrying and can be used anywhere since it can be used with or without water. All ingredients are hypoallergenic, non-comedogenic and fragrance-free. This product will deep clean your entire face without clogging pores or depleting your skin's natural emollients. This skin cleanser and softener contains propylene glycol, a small organic alcohol that is frequently used in skin care products as a conditioner and humectant, helping skin to retain moisture. This product is very soothing for dry, patchy skin on the face and neck and has been shown to be trustworthy by its many users. This gentle, moisturizing face skin cleaner is ideal for daily cleansing and for healing unexpected skin breakouts. The fact that this product is recommended for skin cleaning with or without water speaks for its gentle yet thorough purifying action. This soothing cleanser leaves no trace of residue on your face. Users who wash their faces with this Cetaphil formula daily report facial skin that feels refreshed and soft all day, without any dryness or tightness. Some users of this gentle Cetaphil cleanser are disappointed with this product's lack of strong foaming action. This luxurious Japanese face washing formula from Hada Labo Tokyo, an interesting and exotic brand, will provide you with a deeply cleansing and gently purifying experience. As it removes oil and makeup, it clears the skin of all impurities and retains vital moisture. Your face will have a silken smooth touch and a truly revitalized feeling without any signs of dryness. Water-based and containing the primary ingredient of hyaluronic acid, this skin-enhancing product aligns with your skin's natural moisturizers to revitalize and firm your facial skin tissues. Hyaluronic acid is generated by your body, and it binds with water to naturally hydrate your skin. Because it has the capacity to contain as much as 1,000 times its own weight in water, it plays a major role in keeping the skin of your face well hydrated, soft, plump and free of lines or wrinkles. Designed in accordance with the Japanese philosophy that facial washes should act in harmony with the skin, this advanced formula features Super Hyaluronic Acid, which is an empowering mixture of three different forms of hyaluronic acid. Another formula ingredient, sodium cocoyl glycinate, is derived from an amino acid that is usually formed from a combination of coconut fatty acids and glycine, an amino acid. Gentle to the skin, this ingredient creates a luxurious, creamy lather for cleansing your face. This enriching facial wash and hydrating product is completely free of paraben, dyes, mineral oil, alcohol and fragrance. It can be used on all skin types and has been shown to greatly improve skin irritations and rosecea. This pure moisturizing cleanser from Hada Labo Tokyo washes facial skin thoroughly, but is gentle enough to be used twice each day. 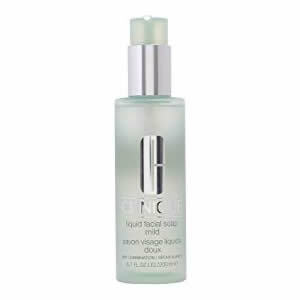 Some enthusiastic users of this face cleanser report improved skin texture as well as good degrees of skin hydration. Users of this product with very dry skin praise the enriching content of hyaluronic acid for thorough and even hydration of facial skin. This dry skin wash has a good pH balance and leaves even very dry skin feeling soft and supple. Some users of this face wash report slight disappointment with its use since they feel they get better deep facial cleaning results from this brand's foaming cleanser. 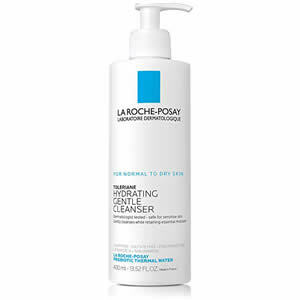 This soothing, moisturizing face wash from La Roche-Posay Toleriane cleans away face and eye makeup, oil and impurities while preserving and nurturing your skin's natural barrier of protection from germs and environmental factors. It also protects the skin's pH balances while hydrating and softening your face. This new generation of facial purifier keeps your skin looking vibrant and youthful, free of lines and wrinkles. Dermatologists have tested this formula and found it safe for use on all skin types, including very dry or sensitive skin. This product is non-allergenic, non-comedogenic and free of paraben, oils and fragrance. With nourishing ingredients like Prebiotic Thermal Water, Ceramide-3, Niacinamide and Glycerin, this contemporary skin enhancer gives your face the look and feel of renewed and refreshed vitality. Its gentle, but thorough cleansing action makes it suitable for use once or twice each day. Ceramide-3 is a type of lipids (fats) that helps the skin retain its natural moisture, enabling facial skin to stay youthful looking with good elasticity and resilience. The ingredient of Niacinamide is a form of Vitamin B3 (niacin) that can alleviate and even eliminate dry, red and patchy or peeling skin that is attributed to a niacin deficiency (pellagra) in the body. This ingredient soothes many types of skin eruptions and irritations, enabling other ingredients, such as Glycerin, to hydrate and enrich your skin and maintain good moisture levels. This facial wash clears away makeup and grime quickly and rinses thoroughly without any need for double-rinsing. Customers like the capacity of this facial cleanser to remove eye makeup without drying out the delicate skin tissues around the eyes. Some users of this product express enthusiasm with the fact that this soothing face wash is so helpful to all types of skin, cleansing gently but completely without any signs of stripping skin of its natural emollients. A few new users report allergic reactions to this facial wash, with skin rashes developing. 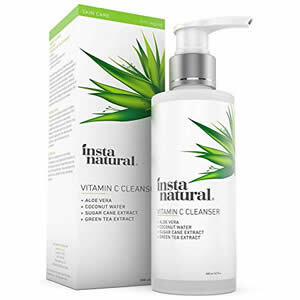 This versatile facial cleanser from InstaNatural smooths fine lines and wrinkles, fades breakouts and blemishes and defies age as it helps soften, refine and plump dry or tired looking skin. It clears and tightens pores and rejuvenates your entire face with its natural and organic ingredients. This very effective facial wash works well for both female and male customers, offering the empowering cleansing and renewing properties of leading antioxidants such as Vitamin C and Organic Aloe. This unique formula nourishes and refines all skin types as it fades sun spots and other types of discoloration or imperfections. Any signs of dull or listless skin will be banished from your face as this healthy formula cleans, exfoliates and soothes delicate skin cells for a more bright, glowing complexion. The InstaNatural brand is popular and is currently getting high volumes of notice and discussion. Hydrating your skin as it cleans and revitalizes multiple layers of skin, this cleanser softens and plumps your face with pure oils and moisturizers that absorb below the skin's surface to fortify and refine. This formula will never leave any traces of oil or residue on your face. Every ingredient acts to cleanse, hydrate, smooth and brighten your facial skin, giving you a younger and healthier complexion. This face wash will improve the texture, tone and elasticity of your skin with its additional ingredients of Green Tea, Chamomile, Sugar Cane and Coconut Water. Satisfied users of this formula report feeling the pure cleaning and moisturizing effects as soon as they applied the product to their skin. This enriching facial wash lathers well and goes on smoothly and evenly, cleansing and hydrating all areas of your face equally. This cleanser is ideal for use before applying makeup. 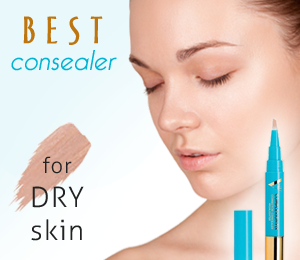 You will be amazed at how smoothly your makeup will glide on without any traces of streaking or unevenness. Some new users report experiencing burning sensations after cleansing their faces with this product. This specialized formula quenches skin with healthy Enzymes, Vitamin C and and Coconut Water Electrolytes. As it gently clears about dirt and impurities from your face, it also removes dried skin cells and enhances skin tone, texture and coloration. This brand of skin products incorporates fruit stem cell technology to utilize the vast and outstanding intelligence and wisdom of nature in all its products. All Andalou Naturals products have natural origins, are sustainably sourced and are non-GMO and cruelty free. This brand is dedicated to promoting and sustaining natural beauty, including the beauty of your face, so why not give this face wash a try, at least once? This innovative skin care product is especially helpful for rejuvenating depleted and parched looking, listless skin. Its foaming, enriching consistency easily dislodges and removes stubborn, clinging impurities and dull skin cells from the surface of your face. With the natural action of this formula's skin-refreshing Enzymes, Vitamin C and Coconut Water Electrolytes, your facial skin will feel well hydrated and supple. The ingredient of Aqua Cacteen from the prickly pear cactus will nurture and smooth your skin for a more refined and youthful appearance. Your face will look and feel revitalized with a healthy, bright glow. Some customers praise the hydrating action of the Conconut Water Electrolytes and Enzymes in this formula. This thorough facial cleanser can remove even waterproof eye makeup without causing any stinging or discomfort of the eyes. This face wash rinses completely with use of very little water. Some new users report skin breakouts due to strong allergic reactions to natural ingredients of this facial cleanser. 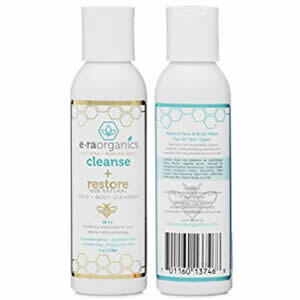 This skin-enriching formula from Era Organics softens, hydrates and deep cleanses your face without upsetting the natural moisture balances of your skin. It is safe and soothing for use on dry, sensitive or blemished skin and is designed to provide the ideal 5.5 pH balance for delicate skin tissues of your face. This nourishing product will never strip the natural emollients from your skin's protective outer barrier or dry your skin cells. It is gentle enough to soothe symptoms of psoriasis, dermatitis, eczema and acne without causing any additional dryness, itching or discomfort. This healthy skin wash contains no sulfates or harsh chemicals and is completely free of alcohol, mineral oil, paraben and fragrance. This facial cleanser is one of the best currently available for use by women, men and even children. With its rich contents of Raw New Zealand Manuka Honey and Organic Aloe Vera, this product is a strong yet gentle face wash and anti-bacterial agent. Because it is designed to be in perfect balance with your skin's natural pH balance of 5.5, it will not dry or roughen your delicate facial skin like come harsher alkaline cleansers do. This effective but gentle and soothing wash also contains the essential skin nurturing components of Vitamins A, B, C and E. It will improve the tone, texture and overall coloration of your facial skin while fading any sun or age spots and other imperfections. Customers report that with daily use of this refreshing facial wash, your skin will have greater elasticity, looking and feeling years younger. Users like the fact that only a small amount of cleanser is needed each time you wash your face in order to cleanse deeply and completely. Many users are pleased that this product contains the gently purifying anti-bacterial ingredients of Manuka Honey and Organic Aloe Vera. Some users of this product are disappointed when they develop skin irritations or blemishes. Some customers who are enthusiastic about purchasing this facial cleanser, but experience skin breakouts while using it think this product is overpriced and not suitable for use on the face. This revitalizing foaming facial wash solution from EltaMD Skin Care is pH-balanced, oil-free and sensitivity-free. Its mild yet effective mixture of gently cleansing enzymes and amino acids remove makeup, oil, dirt and environmental impurities from your face while clearing and tightening pores. The enriching ingredients of Bromelain and Apple Amino Acids clean your facial skin deeply and thoroughly without drying or irritating skin cells. This carefully designed formula will not interfere with your skin's natural emollients and outer protective barrier. The active Protease Enzymes in this healthy skin cleaner reduce any signs of inflammation and maintain your skin's natural pH balances. This facial wash is sufficiently gentle for use twice each day, and it is approved for safe use by all skin types. If your skin is very dry, you need not worry about losing valuable moisture balances when using this product. This refreshing cleanser will hydrate your skin evenly and richly with each application for clearer, smoother and more supple facial skin without fine lines and wrinkles. This richly foaming facial wash will renew and refine the textures and tonalities of your skin for a more youthful complexion. This cleanser offers good foaming quality and easy application for even cleaning of your entire face. Customers report that, after using this product, your face will feel deeply cleansed yet soft and well hydrated. This face cleanser foams thickly as it is dispensed, clogging the spout of its container and requiring constant clearing before the next daily or nightly application. Some users report dissatisfaction with the fact that they must use more than one application of this face cleanser to remove makeup completely. This gentle face cleansing liquid soap washes your face thoroughly without drying or irritating facial tissues. It clears all impurities from your skin while moisturizing and softening multiple layers of skin, leaving your face looking and feeling renewed, bright and supple. Because it is so mild, this soap is recommended for use twice daily. It removes makeup, dirt and grime when massaged lightly over your face and neck. Users who are prone to eczema report that regular use of this mild wash completely clears away all signs of dry, itching and scaly skin. Ingredients of this gentle soap from Clinique include Sodium Palmate or Sodium Palm Kernelate and Glycerin. Sodium Palmate results from a reaction of palm oil to sodium hydroxide called saponification, which occurs whenever a fatty acid is exposed to an alkali. In this case, palm oil is the fatty acid and the alkali is sodium hydroxide. The resulting substances from this chemical reaction are glycerol and Sodium Palmate, which acts as an emulsifier in this liquid soap, enabling emollients to be suspended and smoothly mixed with pure water and other ingredients to form this product. Sodium Palm Kernelate is a sodium salt of the fatty acids with origins in the oil of the palm kernel. It is included in this facial wash as a binding agent and moisturizer. The Glycerin content of this liquid face soap hydrates and smooths the skin surface. This liquid is gentle and will not sting your eyes when removing eye makeup. Like other Clinique products, this liquid soap is hypoallergenic. Some customers report skin breakouts when using this product. Some users report moving on to other skin cleansers that are not categorized as soap products since most skin care experts to not recommend use of soaps for cleansing the face. After reviewing the varied innovative formulas and ingredients of these facial wash brands and products and weighing the pros and cons of each one, you will be ready to make your own decision concerning the cleanser best suited to your individual preferences and specific face skin cleansing needs. By focusing on the skin washes that are specially formulated to thoroughly clean, hydrate and enhance your own skin type, you can select the product that will resolve any special sensitivities or ingredient requirements that you may have. You will also be prepared to select the very best face wash for dry skin that is currently available on the contemporary healthy skin care market that is ideal for satisfying your every need and desire as your luxurious daily facial purifier.